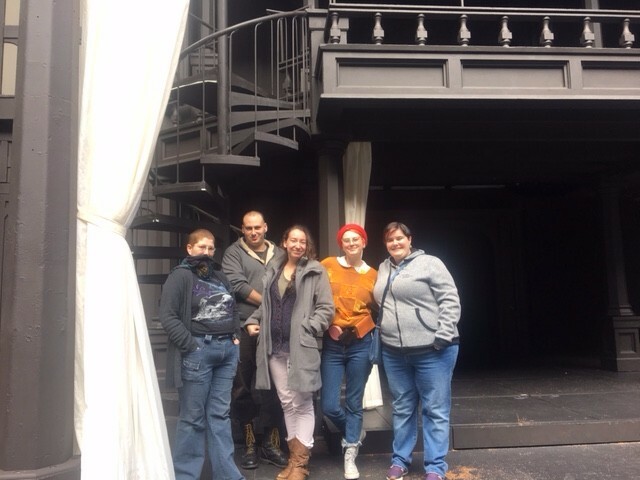 In this post you'll hear from Hannah, a student in cohort 1, about a recent Learn and Explore Trip to Ashland to attend the Oregon Shakespeare Festival. Last weekend a group of six students and community members embarked on a road trip to Ashland, home to the Oregon Shakespeare Festival (OSF). Although we each had a varying degrees of experience with theatre we were excited to see what the festival had in store. We arrived in Ashland around 6:00pm on Friday, checked into our hotel, and met up with our dear friend, Katie Farewell, for dinner. Katie is one extraordinary human being: she’s a Wayfinding Luminary, on the Board of OSF, and played an instrumental role in helping plan this trip. Katie really made our trip extra special and I’m so grateful for her generosity and expertise. After a delicious dinner and thoughtful conversation, we headed to our first show of the weekend, Julius Caesar. Julius Caesar: a tale of power, consequence and honor. With a simple set and contemporary costumes, I find it remarkable how a play written around 1599 can still be relevant today. On Saturday we had some free time before our first show of the day and explored the town for a few hours. 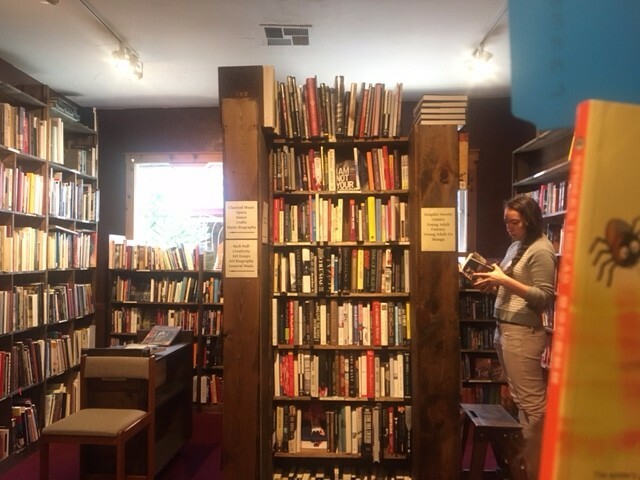 Lithia Park, the farmer’s market, art and craft market, bookstores and chocolate shops were among some of our favorites. Later we headedto the theatre and sat down to one of the most moving shows I’ve ever seen in my life. I was not prepared for the weight and impact it would have on me. UniSon: a dying poet leaves his apprentice a box with instructions to promptly destroy it. The apprentice disregards the instructions, opens the box and we are introduced to “seven terrors” of the poet’s past. The “terrors” take turns sharing their stories and we learn of the impact they had on the poet and his work. A brilliant musical production that takes the audience on an adventure as it explores narrative, legacy and the role our shadows play in informing our story and how we show up in the world. Our final show of the weekend was Off the Rails: a Wild West adaptation of Shakespeare’s Measure for Measure infused with humor, compassion, music and history that shed light on the heartbreaking legacy of Indian boarding schools. I was reminded of the power of theatre and its ability to help us reflect on the past, challenge present narratives that no longer serve us, and give us hope for a brighter and more harmonious future. We wrapped up our trip with a backstage tour, where we learned about the history of the festival, how things run behind the scenes, the architecture of the theaters, and the different programs the festival offers. The tour provided me with a greater understanding of how everything comes together and gave me a greater appreciation of the art of theatre. I’m still working to process the trip and all the amazing performances and am left with wondering how theatre can be used for systemic change and how I can incorporate it into my personal work. I’m so grateful that I was able to share this experience with a group of really rad people. Thank you Moon, Katie, Dylan, Leah, Bora and Marybeth for helping to make this trip so special! Learn and Explore trips are adventures that stretch your world view. The trips are one of the six elements of our 2-year program. Each trip includes learning components and a chance for participants to stretch. Learn & Explore trips are open to our community and to learn more or sign up for an upcoming one, click here to learn more. Our next one is a trip to Ghana in December of 2017!